I meant to take some photos at the SPCA today, but when we were actually there I was worried the flash would bother the animals. 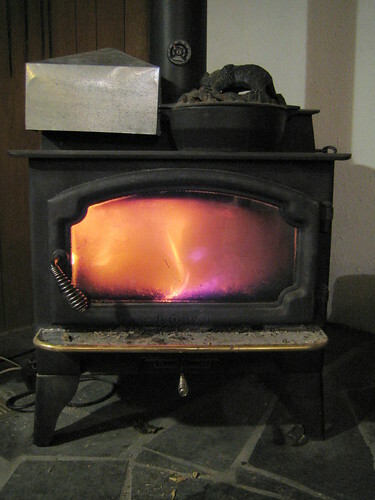 So you get the wood stove at my parents’ house instead. The silvery thing above it is a duct system that can be used to draw excess heat down to warm the basement.